A girl in Los Angeles plays in front of The Wall Along Wilshire; the longest section of the Berlin Wall outside of Germany. I recall visiting Berlin when the wall was up, each side was very different places, so this picture is significant for me. 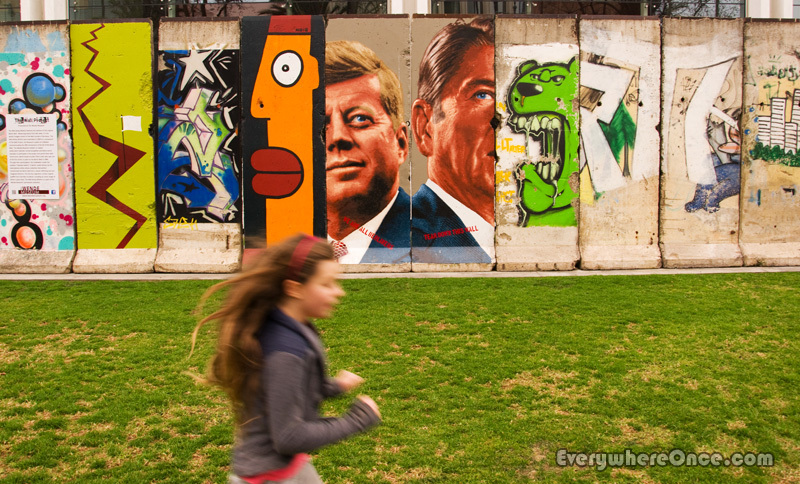 The contrast of freedom (girl playing) against something which once represented restrictions (the Wall). Great pic! Love the idea of being a Carefree kid once again! The wall is incredible.